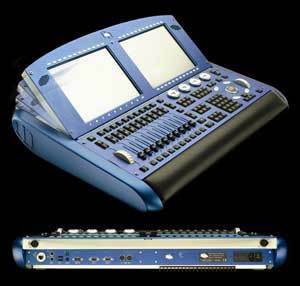 Wholehog 3, Lighting Desk dedicated to moving Fixture from Flying Pig Systems. 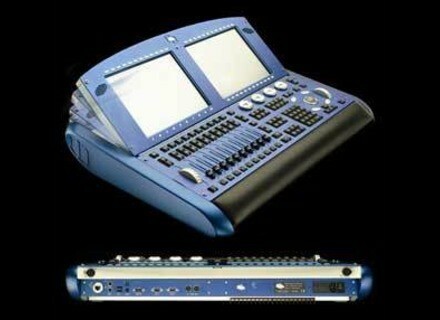 High End Systems, a Barco company, announces the release of version 3.2.0 software for the Wholehog operating system. This software is designed to provide enhancements and improvements to the platform, which includes the Wholehog 3, Road Hog Full Boar, Road Hog and Hog iPC consoles as well as Hog 3PC software. The v3.2.0 software’s main highlights include Network Tracking and Failover, Color Coding, Keystroke Macros and more. Additional features included in v3.2.0 include USB saving for Wholehog 3 consoles, selective show merging, fixture schedule search, direct value entries and a new GUI. Version 3.2.0 also marks the first software version that is no longer compatible with the discontinued DP2000. Users are advised to take advantage of a trade in offer towards the purchase of a DP8000, which is available through July 31, 2011. Version 3.2.0 software, release notes, and an updated manual are now available free of charge at www.flyingpig.com. Chauvet Obsession LED Chauvet announces the new Obsession LED, a fixture that projects gobos in an LED moonflower effect. Chauvet WELL The WELL is a Wireless Event LED Luminaire designed as a self contained uplight. JB Systems ATOM JB Systems launches ATOM, a compact LED effect with 5 colors.